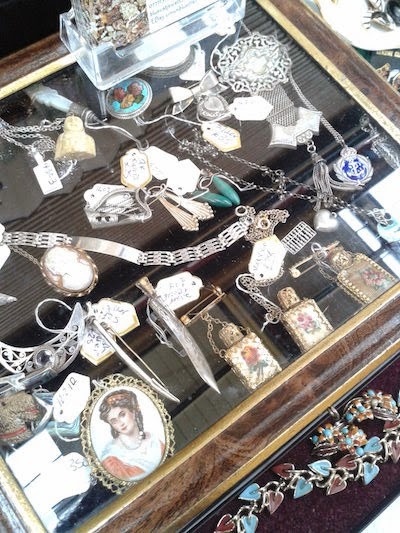 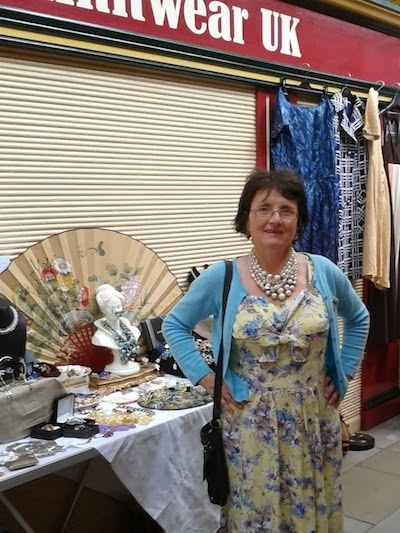 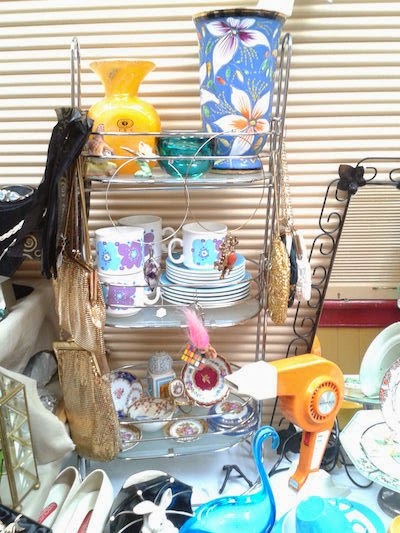 Bluecat Jewellery has been trading since 1999, but has been collecting since the 1970s after the discovery of a fascinating junk shop filled with treasures in her teenage years. 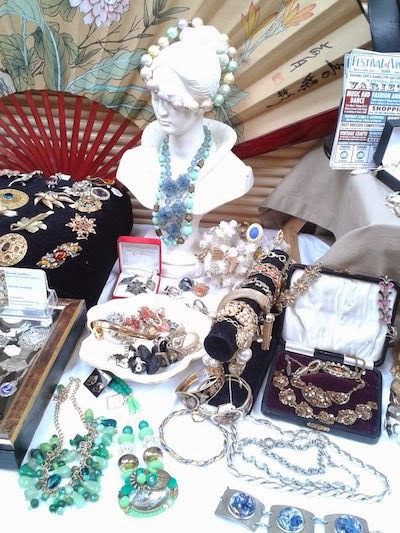 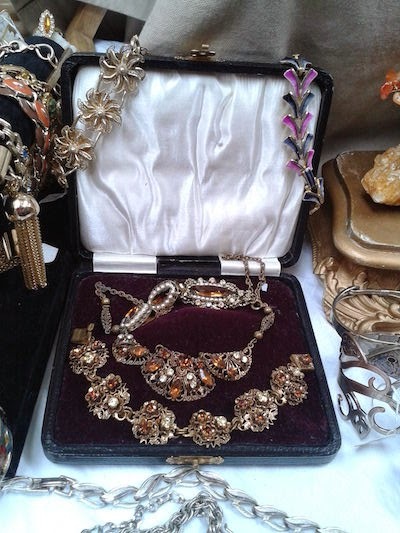 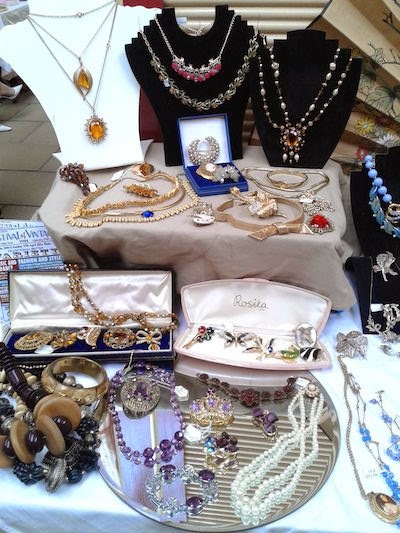 On Bluecat Jewellery's stall you can find a sparkling selection of glamorous vintage jewellery from the Art Deco era - 1920s-30s - to the 1980s, along with a carefully chosen range of vintage accessories such as handbags, shoes, gloves and charming adornments for your dressing table or boudoir. 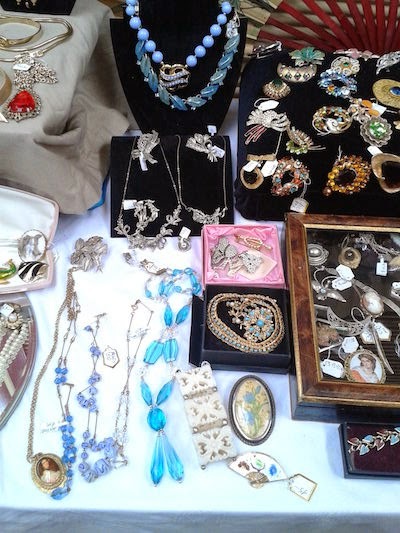 Seek Bluecat Jewellery out on Facebook.